Four pilots from ACAO has left today , 1st December, for Namibia. Thanks to the excellent meteorological conditions Bitterwasser is one of the yearned for places all over the world. 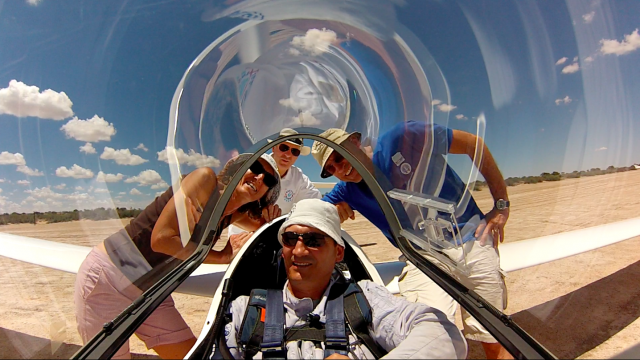 Mauro Brunazzo, Antonio Caraffini, Alberto Sironi who flew the incredible flight of 1633 km over the Alps last May and our President Margherita Acquaderni, will fly in the next day at Bitterwasser, airport born in 1961 close to the town of mariental, in the middle of the Cahalari desert, by means of a group of German pilots. The pilots will fly with an Arcus M and a Quintus. All the club wish wonderful flights. If you want to follow their adventures, you will be able to do it in the next days through the blog by means of which our pilots will tell us about their Namibian flights.